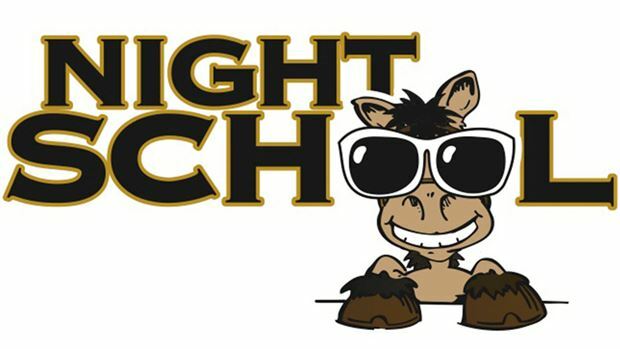 Night School, the racing industry’s national online fan education program, features its “Year in Review” tonight when the trainers of two of America’s leading horses join the lesson plan. Kathy Ritvo, trainer of Breeders’ Cup Classic winner Mucho Macho Man, and Charlie LoPresti, conditioner of two-time Breeders’ Cup Mile champion Wise Dan, will be front and center in the 90-minute interactive session that begins at 8:30 p.m. ET. This week’s 39th of 40 Night School lessons on the season will be presented in a multi-media format for horseplayers and fans to enjoy. The guest list also includes owner Ed Stanco, whose filly Princess of Sylmar, captured this year’s Kentucky Oaks and will be part of a heated Eclipse Award vote for champion 3-year-old filly vs. Beholder. Daily Racing Form national correspondent Jay Privman will provide the lesson a big-picture look at the 2013 season. Ritvo, LoPresti, Stanco and Privman will join Night School co-founders Jeremy Plonk and Joe Kristufek as well as the “At the Races With Steve Byk” audience on SiriusXM satellite radio. The audio will be streamed into the Night School live chat box, so fans can take part in the class free by visiting any one of the 40-plus websites that provides the Night School lessons each week. Night School attendees will be able to pose questions to all of the guests in two manners, either by the live chat module or by joining the “At the Races with Steve Byk” live call-in show at 1-866-454-6848. Those wishing to listen in on the radio can find the program from 8:30-10 p.m. (EDT) on Sirius 93, XM 209 or at Sports Zone 961 for Sirius Online users. For those who cannot attend live, the Night School archives always are available free, immediately following the session and beyond. Videos used in all lessons also can be seen at http://www.youtube.com/horseplayernow. Night School is offered every Tuesday for 40 consecutive weeks through Dec. 3 – with the season’s finale coming next week. Topics change weekly, and fans are eligible for prizes and rewards for registering. Registration is optional and free. There is never a charge for taking part in Night School. The weekly program is offered in three media: live chat via the Cover It Live blogging/chat forum, audio/radio streaming and full video lesson plans. The media of delivery is based on the subject matter and alternates throughout the season.